Square Enix reported their latest earnings report which covered the 4th quarter of 2018 and the numbers were largely flat, which is disappointing considering Q4 includes Christmas. Company wise net sales for the Oct - Dec quarter came in at 66.8B Yen ($610 million). MMO Revenue (includes Final Fantasy XIV, Final Fantasy XI, and Dragon Quest X) came it at 6.5B Yen ($59M USD) for the quarter, which was up a bit over the last 2 quarters, which is impressive considering the Stormblood expansion is almost 2 years old now. 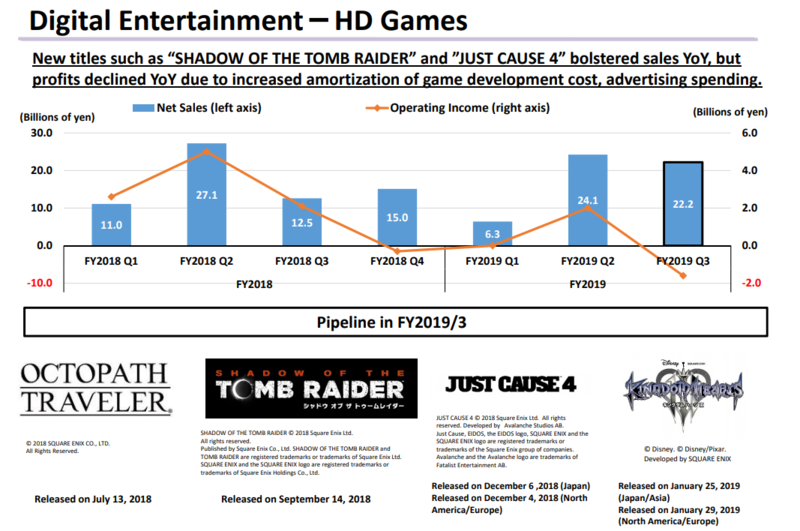 The MMO segment has been consistently profitable over the last 2 years, with the most recent quarter bringing in ~2B Yen (~$18M) in profit. 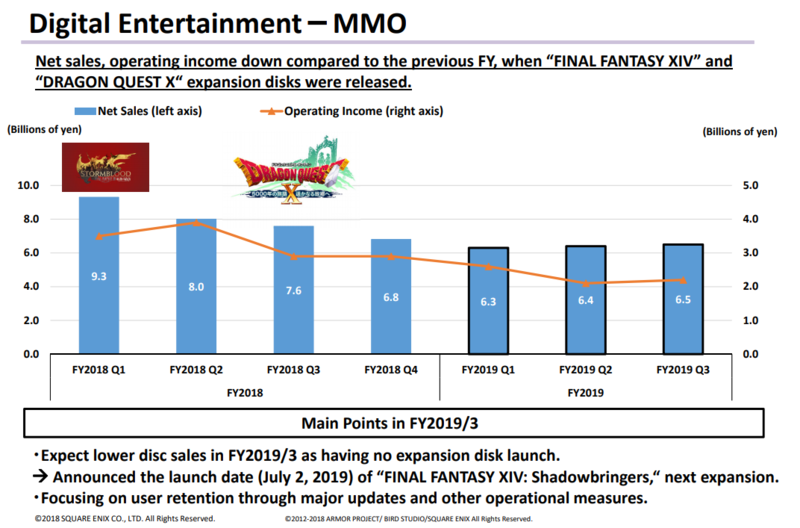 Sales and profits are expected to rise significantly for the MMO division once Final Fantasy XIV: Shadowbringers launches on July 2, 2019. Mobile and browser games were disappointing this quarter, declining from 19.7B Yen last quarter to 18.8B Yen ($170M) this quarter. 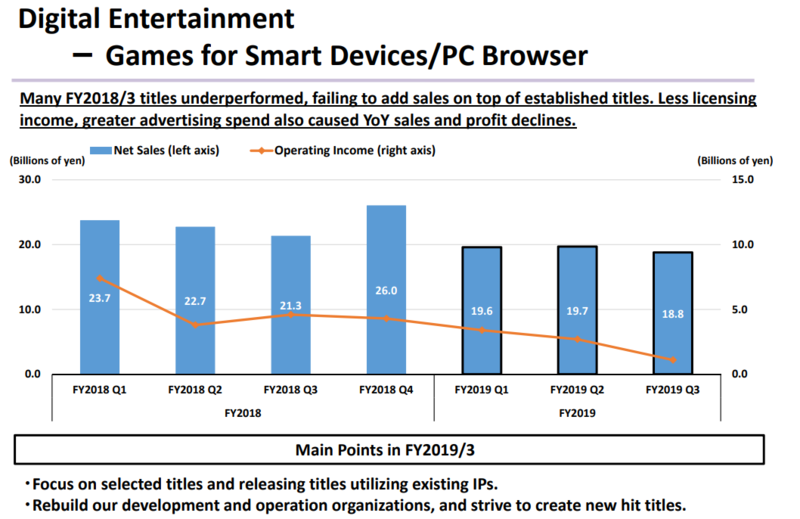 The mobile segment, despite bringing in huge revenues only brought in operating profits of ~1B Yen (~$9M profit). HD game revenues (traditional buy to play games) came in at 22.2B yen ($200M), but segment profit was a loss of nearly 2B Yen ($18M).